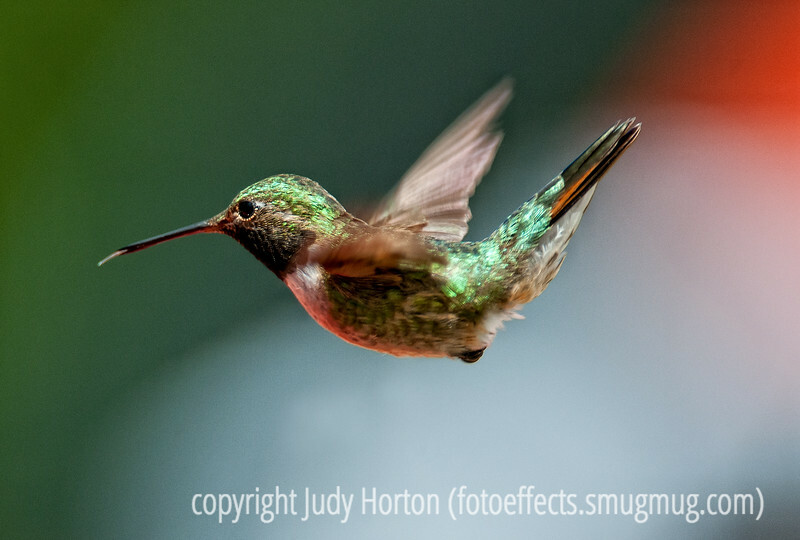 A black-chinned hummingbird; best viewed in the larger sizes. This shot was also captured at Teal Campground in southern Colorado --- about 25 miles outside Pagosa Springs. I sure appreciated all the comments on my shot of the damselflies mating. Thanks so much! Amazing photo! You captured such beautiful details and the background is so complimentary!